West Sussex-based Nova Racing Transmissions is constantly working to tight deadlines in the high-pressure environment of motor-sport. With customers ranging from teams in the World and British Superbike Championships down to club-level racers, producing parts on time is vital, which is why the company has turned to the WNT brand of its tooling partner Ceratizit UK & Ireland (www.ceratizit.com) to improve its performance in machining — particularly the manufacture of gear selector forks. The most recent development was the introduction of WNT’s ZSG4 centric vices and its MNG Zero Point location system — used on the bed of Nova’s new XYZ 710 VMC HD and on the machine’s 4th-axis unit. The result is a flow-line that delivers one complete selector fork every cycle from a raw billet. This new process delivers time savings (set-up times are halved), as well as improved quality and consistency. Daniel Vaughan, Nova’s manager, said: “Prior to the adoption of the WNT MNG Zero Point and ZSG vices, we used conventional vices to hold cumbersome fixtures. 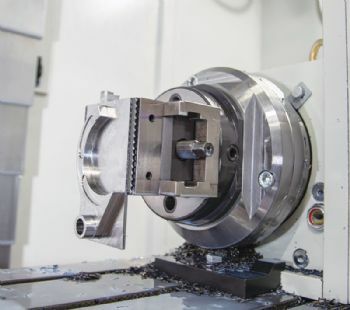 “We can now grip on just 3mm of a raw billet, machine one face completely and transfer the part to the 4th-axis unit to machine a location pin, prior to finish-machining the second face, gripped in aluminium jaws that match the shape of the selector fork. Gripping for the first operation, which involves removing relatively high volumes of material, is done using the 80mm-wide ZSG4 vice with serrated jaws. The gripping force for this operation is 65Nm, and the machining of the reverse face of the fork is undertaken in a 125mm-wide ZSG vice with aluminium jaws, which are machined to match the profile of the selector fork. This allows the gripping force to be reduced to 40Nm, which is a major advantage in maintaining the flatness and consistency of the finished part. Mr Vaughan said: “By being able to use a much lower gripping force, we maintain the integrity of the part, without any deformation. Combining the vices with the MNG Zero Point base plates also guarantees datum points when setting up and gives Nova greater flexibility, especially on lower volumes, which occasionally involve one-off production to help customers. As part of the upgrading process, Nova called on the expertise of Michael May, Ceratizit UK & Ireland’s applications sales engineer, who looked at the entire manufacturing method for the selector forks. These parts were originally produced from round bar, which required an initial turning operation, but switching to square-section material eliminated this operation, saving cycle time and freeing up capacity on the turning section. Mr Vaughan said: “Typically, we could process 65 selector forks using the lathe for the first operation. With all the machining of selector forks now undertaken on the XYZ vertical machining centre, attention turned to the tooling in order to reduce cycle times. The key to this was the milling in the first instance, where the bulk of the material is removed. The decision was made to use WNT’s CCR-UNI solid-carbide end mills, which are suitable for use with trochoidal milling strategies, allowing much higher surface speeds, reduced cycle times and improved tool life. The CCR-UNI cutters feature a unique chip-breaker ground into the flute, five or six cutting edges (depending on the diameter) and WNT’s Dragonskin multi-layer coating technology. Initially, a 16mm-diameter cutter was chosen, but this was reduced to 12mm after cutting trials. With trochoidal milling, depths of cut of 2 x diameter are still achievable, running at 260m/min with an in-feed of 1.2mm and a feed rate of 6.6m/min. 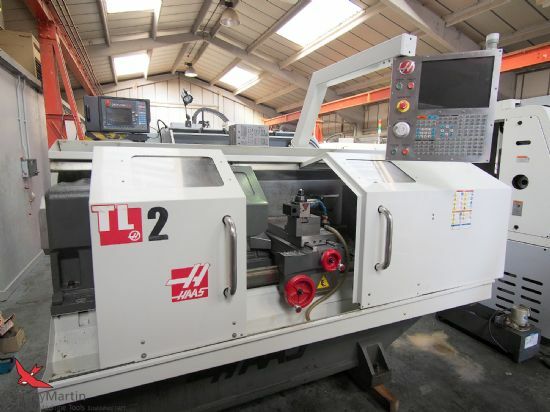 Mr Vaughan said: “The changes instigated by Michael with the CCR-UNI cutters made a major difference to our cycle times, with a complete selector form now being fully machined in 10min, compared to the previous 30min. Nova’s partnership with Ceratizit UK & Ireland is a two-way street, with the company supplying gearboxes and gear ratios to Sam Burman and her WNT Burman Racing Moto 3 GP team. She races in the British Motostar Championship — a support series to the British Superbike Championship. Sam has a new KTM motorcycle for the 2019 season, and its OEM gearbox will be replaced by a Nova unit. This new gearbox is an evolution of the 2014 unit that Sam previously used, and it brings several advantages, as Nova designer Michael Payne explains: “Our gearbox has improved lubrication that gives a better oil flow to the gears, which in turn gives improved reliability in conjunction with improved tooth strength on the gears themselves. Nova’s support for WNT Burman Racing will continue throughout the 2019 season, and the company will work with Sam to produce new gear ratios, if she needs them. Mr Payne said: “The world we inhabit means that we have to react quickly to the demands of racing teams and individual customers. “Thanks to our partnership with Ceratizit UK & Ireland, with its WNT products and the technical applications support, we can make things more efficiently.